TPO Roofing single ply roofing system is well known in Europe since the 1990’s is been a product that is been design as a cool roofing system with superior strength and durability. TPO SINGLE PLY ROOFING was known for the name of flexible Thermo Polyolefin which means it will be reheated and it will not cure and it will be flexible. 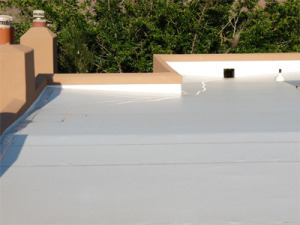 TPO which means Thermo Plastic Olefin which means it will be reheated and reheated and it will not cure, its flexible and with high strength and durability make the perfect match for your new flat roof. Poly-Olefin is a chemical used on TPO roofing membranes. Roofing company skill and standard vary, but you have found a second-generation family business dedicated to quality, honest home and commercial service. Let our TPO roofing company do the right roofing installation the first time. For years of comfort and durability. TPO single ply has been tested on heavy rains in Europe and the USA. Cool roofing system energy star product. No flames involved and no fire hazard. ​Will not interrupt your daily business work. Reflective roofing product, will reflect heat from the sun. Will save on energy cost as a reflective cool roofing system. It can be used on any residential and commercial roof. ​No smelly tar and vapors as other old products. Culver Roofing Company is here to help, as a TPO roofing contractor. We are here to help you in your new TPO roofing membrane installation please feel free to call at: 832-671-1357 for your next roofing project. ​The logic of wearing a black shirt and wearing a white shirt will make a difference in a sunny day! Dare to compare and TPO will be the same principle but this time on your roof. 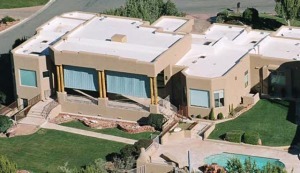 Common uses of TPO SINGLE PLY ROOFING: For industrial roofs, for commercial roofing, for flat roofs, for residential flat roofs, apartments, condominiums, home owners association buildings, schools, large warehouses, Hospitals, restaurants, large facilities, military complexes, hotels, low slope roofs, stores etc.